Judging from the variety of questions being asked at a recent EGNOS flight demonstration, the European Geostationary Navigation Overlay Service (EGNOS) remains something of a mystery for many of Europe’s leading aviation writers. EGNOS, you say? What’s EGNOS? 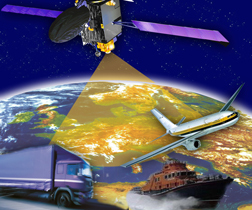 The May 12 event, masterminded by the European GNSS Agency (GSA), was meant to bring up to speed a lot of people who should have been on top of the program a long time ago, specifically members of the specialized European aviation press. Airbus Industries announced today (May 18, 2015) that the new Airbus A350 airliner, currently entering service, comes fitted with EGNOS as standard. 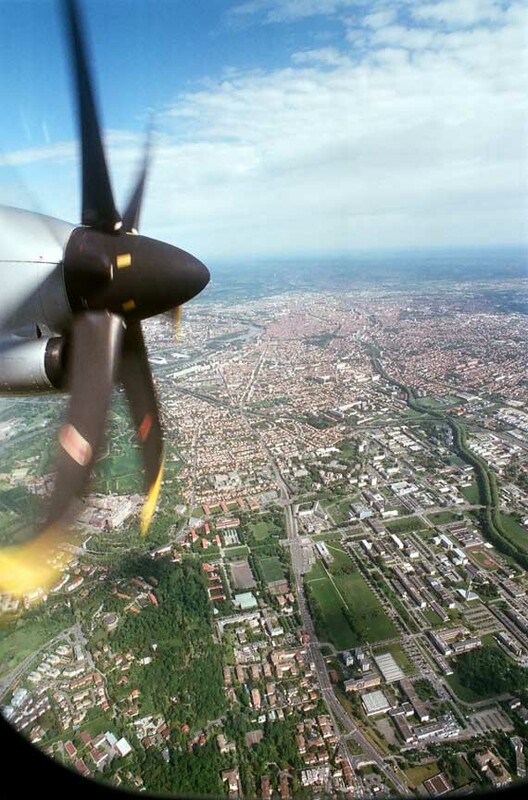 The all-day event at the Blagnac Airport in Toulouse, France, featured presentations by high-flying EGNOS officials as well as demonstrations of EGNOS-based navigation onboard a high-flying ATR 600. The views of France’s famed “Pink City” from up there were dazzling. Of course, EGNOS is Europe’s satellite-based augmentation system (SBAS), the equivalent of the U.S. 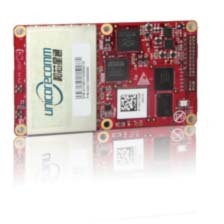 Wide Area Augmentation System (WAAS), which transmits corrections to GPS signals as well as issuing integrity alerts when the system should not be used. It’s been certified for safety-of-life applications such as airport approaches and landings since 2011, but few people seem to have noticed. In the meantime, around 150 airports have adopted EGNOS-based landing procedures. Some of the initial questions posed by the press felt rather elementary. No one seemed to know just where to start. But if there’s one thing journalists are good at, it’s getting up to speed; so, it wasn’t long before the hard questions were being asked. . . . Such as why, after four full years, there are only 150 airports with EGNOS landing procedures? What’s the hold up? What’s stopping the airports from adopting EGNOS, if, as the GSA says, the benefits are so clear and overwhelming? Not that 150 is nothing, it is certainly something, considering the hoops that have to be jumped through to get an aviation procedure published. But still, only 150? Compared to the 1,730 U.S. airports and more than 3,547 approach procedures using WAAS every day in the United States? The experts say the problem is money. It costs £20,000 to £30,000 (US$30-45,000) to get an EGNOS landing procedure published in the United Kingdom, says Martin Robinson of the International Council of Aircraft Owner and Pilot Associations (IAOPA). The GSA’s Gian Gherardo Calini put the cost at a very similar €50 thousand across Europe, although, he added, that can vary wildly from country to country and from case to case. Whatever the public and private benefits, whatever the positive business plan being espoused by the GSA shows, airports and operators and even pilots want proof first. They all understand that there is a significant initial financial outlay to be made. In the United States, the FAA took things in hand when upper echelons decided it was time to get WAAS implemented at airports across North America. The funding was there, in the States, but then Europe has no FAA. General aviation is worth $130 billion in the United States, he says, which is big business. The equivalent figure in the European Union (EU) is about $30 billion, still significant. “There’s got to be a business plan,” Robinson said. Richard Farnworth of EUROCONTROL, the continent’s air safety organization, described the European scenario with its many actors, each one looking at the others and waiting to see who will blink (i.e., open their wallets) first. And then there’s Europe’s inherently non-risk-taking industrial mindset. I may believe the investment will pay off, and you may believe the investment will pay off, and the GSA certainly seems to believe it, but the airports and the operators are the ones who have to believe it, and apparently some of them still find it hard to believe. The GSA probably understands the problem better than most. That’s why it put €6 million on the table last year and is putting another €6 million on the table this year, this month, for co-financing creation of additional EGNOS landing approach procedures. Pieplu says that last year’s call was oversubscribed, and he and his colleagues expect another big response this year. If nothing else, that means a fair number of landing procedures are in the pipeline. In case you’re wondering, the GSA offer is for co-financing of procedure writing, matching funds; so the question remains, is the other side ready to meet the GSA halfway? After the event in Toulouse, the agency hopes a few more people will understand why it makes sense. As far as delivering the system goes, the EU is definitely sticking to its guns, with a major upgrade from EGNOS V2 to EGNOS V3 now in the works.